The deal will see the two partners invest £360m of capital, property and intellectual assets into a new company, Bruntwood SciTech, with a business plan supporting the creation of over 20,000 high value jobs. Bruntwood SciTech’s portfolio is already home to more than 500 science and technology businesses, with a range that goes from biotech start-ups to global life sciences companies. It is centred around flagship assets and development projects in Manchester, Birmingham and Leeds, and includes the internationally-recognised life science campus in Cheshire, Alderley Park. Liverpool also features strongly in its forward plans. 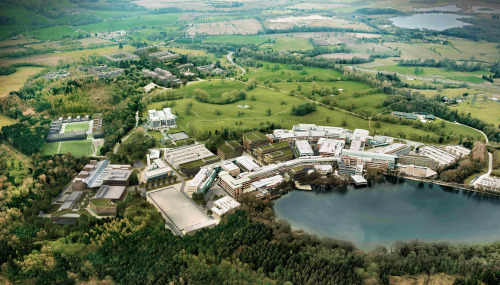 The major life science asset within the portfolio, Alderley Park, is already the subject of a £160m development vision, following its acquisition by Bruntwood in 2014. It is now home to 65 SMEs and 150 start-ups and is further focussed on forming, growing and scaling life science sector businesses. Bruntwood’s programme of investment and expansion has established an ecosystem that includes high specification labs, offices, scientific services and a programme of specialist business support. Alderley Park has two venture funds on site, one of which, the £42m Greater Manchester and Cheshire Life Science Fund has already invested in 25 businesses across pharmaceuticals, biotech, diagnostics, CROs and medical devices. Alderley Park also serves as the headquarters of the Medicines Discovery Catapult, which is focussed on bringing new proven therapies to patients faster and more cost-effectively, and the AMR Centre, a leader in the UK’s response to the global health crisis posed by antibiotic resistance. Next year, the 150,000 sq ft Glasshouse building will open at Alderley Park, offering space for digital tech businesses. The new business will be chaired by Bruntwood Chief Executive Chris Oglesby. He commented: “We are delighted to have formed a partnership with Legal & General, an organisation that shares our vision for unlocking growth in the science and technology sector in the UK regions. We are well suited and aligned in terms of our vision and approach to regeneration. “Our focus is on creating thriving cities - breathing life into places where knowledge-based businesses can start and scale driving growth for the UK economy. Bruntwood SciTech is aimed squarely at the many opportunities offered by the science and technology sector and with the backing of Legal & General we can greatly accelerate the scale and pace of what we can achieve. We have ambitious growth plans and see this activity as enabling the creation of around 20,000 new jobs over the next 10 years. Nigel Wilson, Chief Executive of Legal & General, said: “Although the UK is a great place to invest, years of chronic underinvestment have led to poor productivity, inadequate real wage growth, market failures and low economic growth. Science and technology is an important driver of economic growth and job creation in the UK but we need to keep investing to support the development of our UK regional cities. Bruntwood SciTech will be led by current Bruntwood Chief Commercial Officer Phil Kemp as CEO. Phil has over 25 years’ experience in the IT and telco industry with IBM and Nokia. The board also features L&G Capital’s Managing Director of Urban Regeneration and Clean Energy, John Cummins, and its Director of Regeneration, Rachel Dickie. The leadership team will be completed by Dr Chris Doherty, Managing Director of Alderley Park, Thomas Renn, Managing Director of Manchester Science Partnerships, and Dr David Hardman MBE, Managing Director of Innovation Birmingham whilst Bruntwood’s Peter Crowther joins as Property Director and Kate Lawlor as Finance Director..
As a group Bruntwood currently supports more than 3,000 customers and a community of 50,000 people in over 110 properties around the Midlands and North of England.